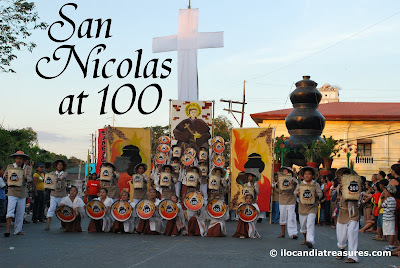 The town of San Nicolas in Ilocos Norte recently celebrated 100 years of its reconstitution as a municipality. This town was a former part of Laoag. It is a 4th class municipality with a population of around 34,000 with an area of 60.11 square kilometers. It is composed of 24 barangays. Its name was taken from their patron, Saint Nicholas de Tolentino who was believed to have protected the people from natural disasters. It can be noted that this is the only town in Ilocos Norte with a name of a saint. The Spaniards came for a mission in this site in which the Augustinian missionaries founded a settlement called Visita Caluntian. It was attached to pueblo of Vigan. Later, Laoag became a pueblo and the administration of Caluntian was transferred to it. Agriculture was the main industry and the source of town’s economy. The Spaniards later introduced blacksmithing, cart and calesa making and pottery to create additional income. 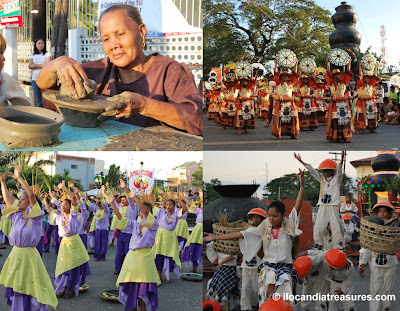 The pottery industry supplies Ilocos Norte and Cagayan up to this time and the town made a mark as the damili manufacturing town with banga as its symbol of trade. They celebrate the Damili Festival annually to pay tribute to pottery industry. An overlapping three-banga statue stands at the junction of the Manila, Cagayan and Nueva Era roads. Potters especially the veterans in the industry participated in the street pageantry displaying the process of damili making while young men and women showed their dancing prowess.